Royal Enfield plans to introduce leather tool bag, badge, keychain, logos and t-shirt !! 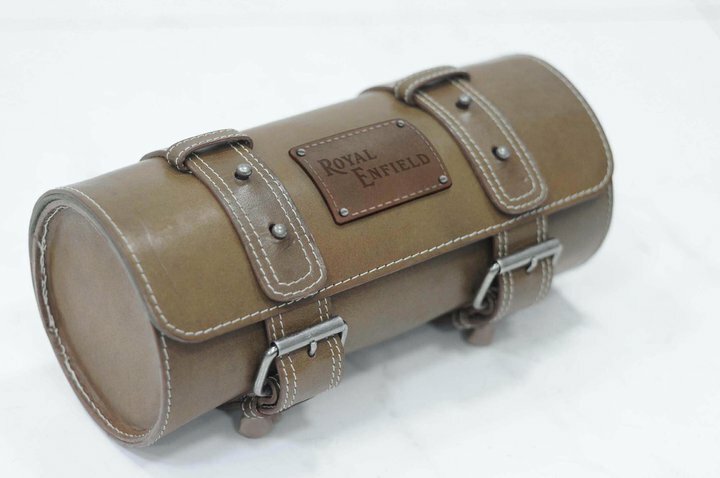 we are very exited to inform all you enfield enthusiasts that royal enfield is planing to launch all new leather tool bag, 100% pure brass metal pin royal enfield badge with 2 butterfly clutches at back size of a 2 rupee coin, nice t-shirts with classic logo's and design and keychains (Rubberised ones & Brass plated) apart from other riding gear such as riding jackets, riding boots, glasses, helmets, pants, raincoats !! While the exact details of the accessories that Royal Enfield plans to launch in what appears like a phased manner across it’s Brand Stores in India remain sketchy at the moment, we hope that Royal Enfield prices the RE branded gear affordably as doing otherwise could result in the gear remaining put on showroom shelves like the overpriced leather saddlebags and the large acrylic windshield that Royal Enfield sold as accessories for the AVL engined Royal Enfield Bullet Machismo 350/500. 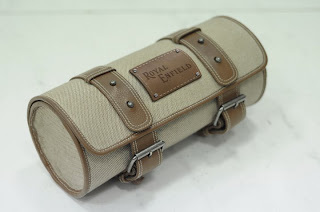 Great effort from RE guys to boost the brand image. i hope they keep their prices under control ! !